No blogs for the last few days as I have been laid low by a bug but now am slowly on the mend. 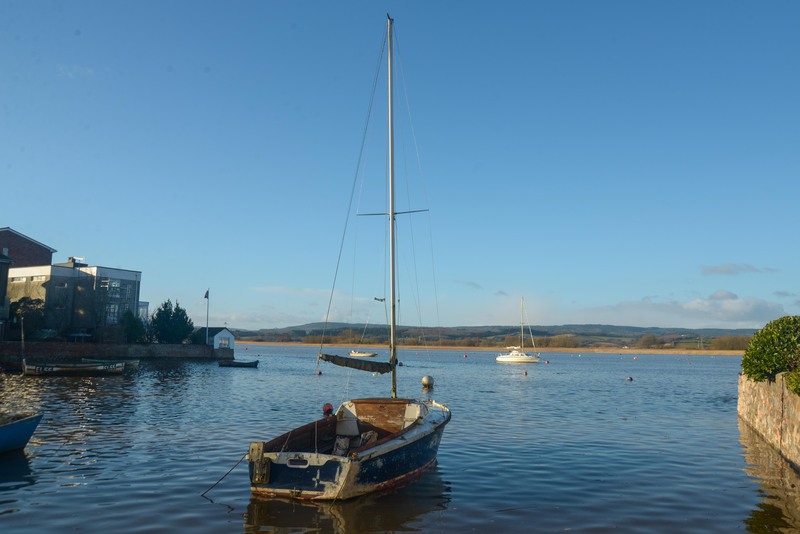 Managed a walk along the Exe to Topsham from home today. 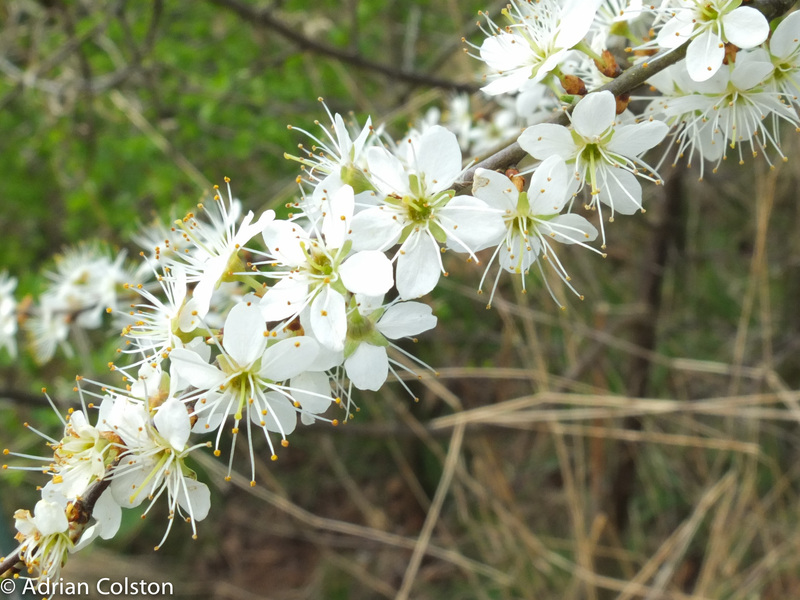 It is still pretty cold outside and winds are still coming from the north but the blackthorn is in full flower. Such a combination – blackthorn in flower associated with late cold weather is known as a ‘blackthorn winter’ – a bit harsh perhaps as the weather could be a lot worse…. 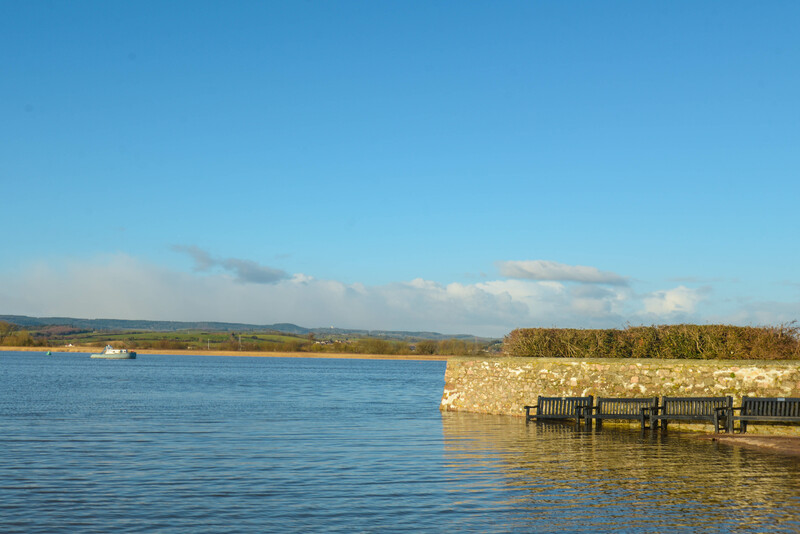 The skies over Topsham had quite a lot of blue in them and although it was cold when the sun was behind the clouds it was very pleasant and warm when the sun came out. At such points peacock and small tortoiseshell butterflies abounded! 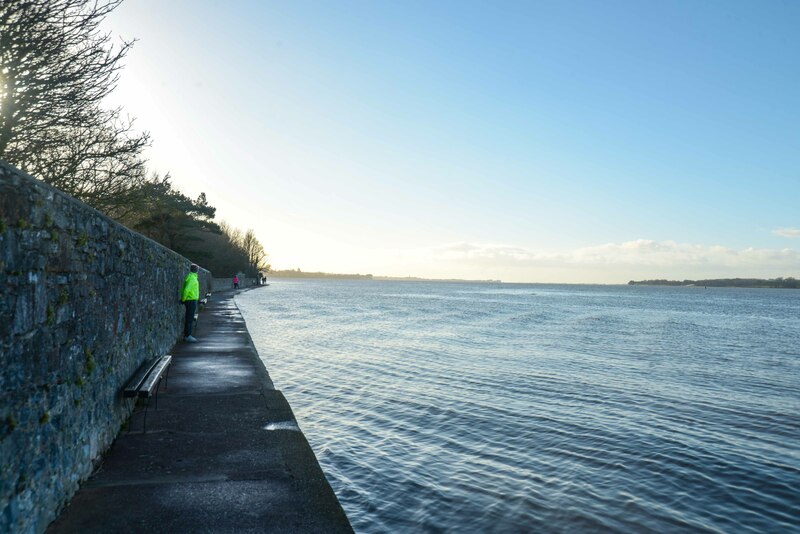 High tide today was supposed to be the highest tide for over 20 years. 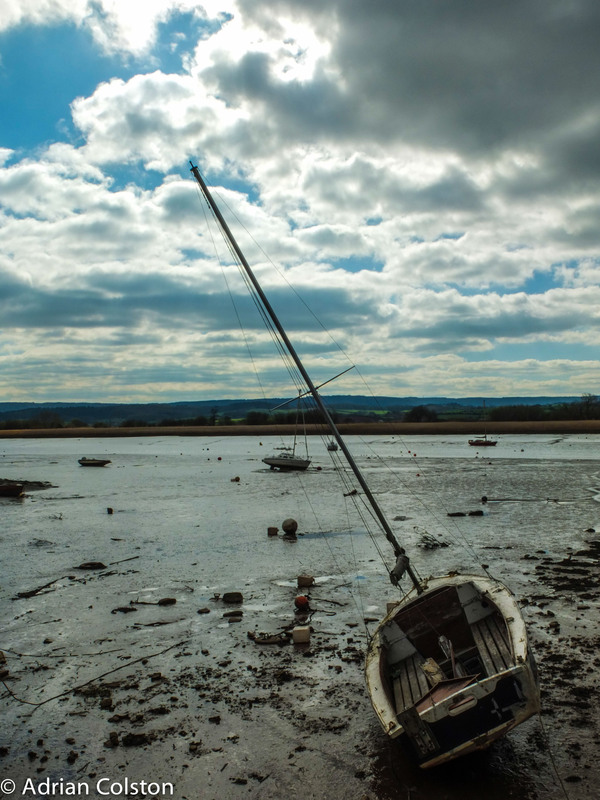 As a result I thought I would go into Topsham to have a look – I think though that much to the relief of the residents of the Strand it was an anti-climax. 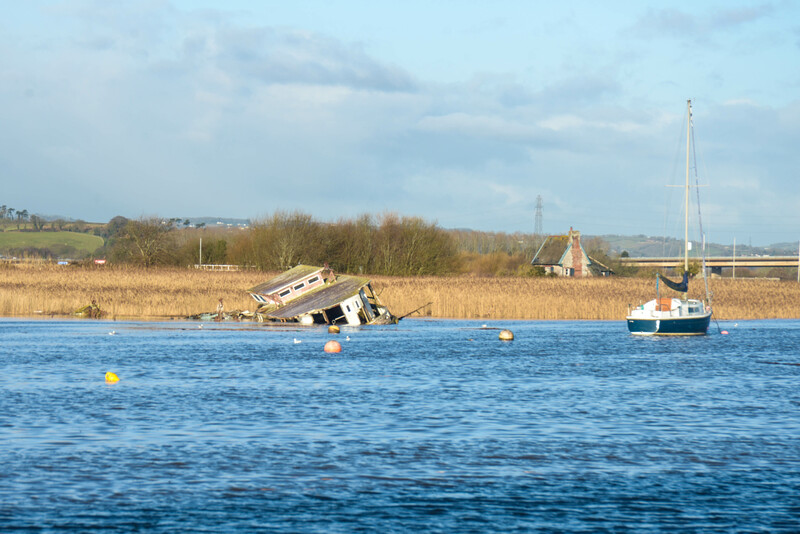 The Exe hardly had a ripple on it and although it was rather cold there was no driving wind up the estuary. Had there been it might have been rather a different story. 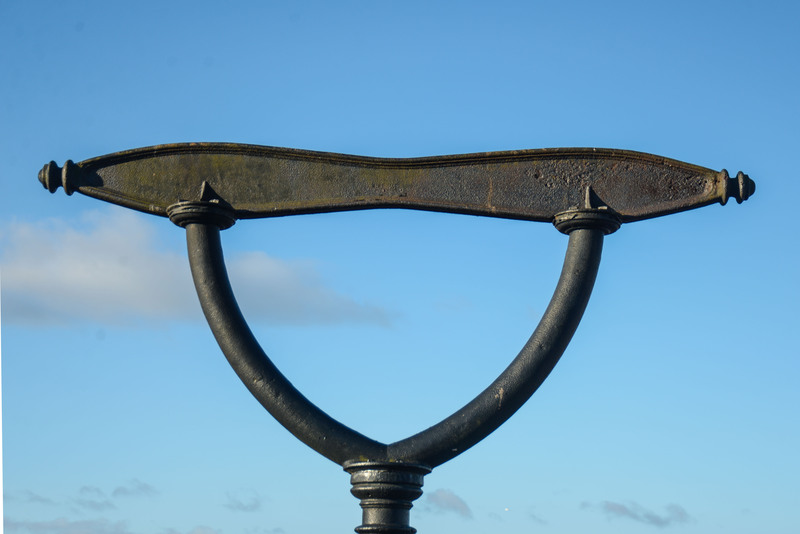 This structure sits outside the Lighter – it look like it is of a maritime purpose but I’ve no idea what it is for. 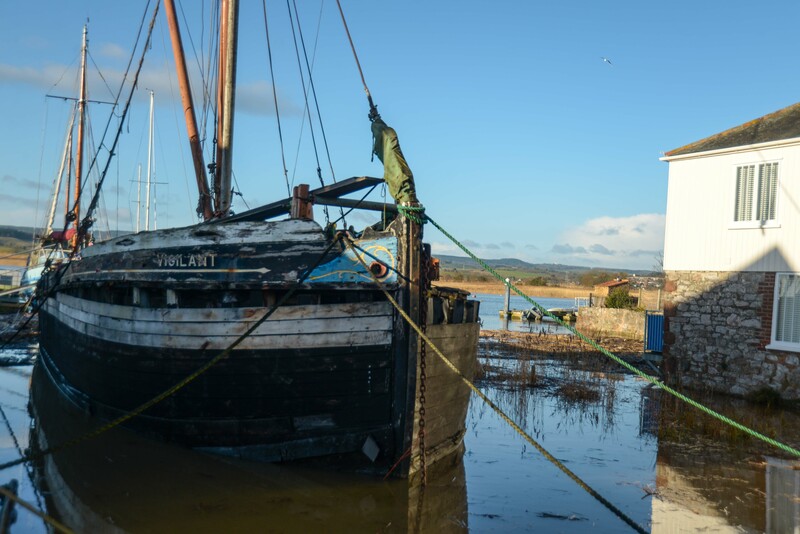 The tides are lower tomorrow but it more stormy so there might be some problems down in Cornwall….